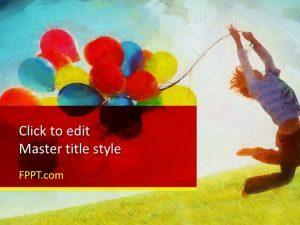 Free Hot Air Balloons PowerPoint Template is a free sports and leisure template for PowerPoint presentation. 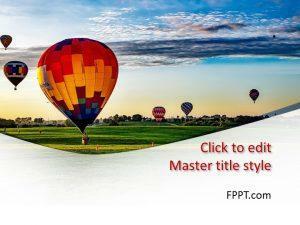 You can download this free PPT template with balloons in the air with hot air balloon images if you are going to experiment balloons experience on the air. 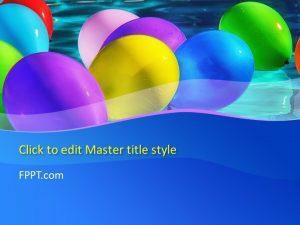 This free balloons template for PowerPoint has a blue background and white content. It is the dream of many couples to be able to travel on a hot air balloon. Sky lanterns and hot air balloons are every girls dream as they want to reach the sky. 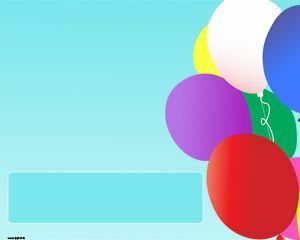 Download adventure related background designs, such as Free Colorful Balloons PPT slides and Valentine PPT background. 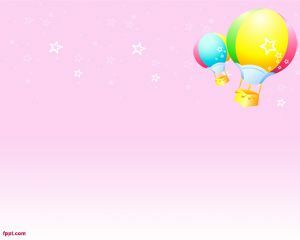 A vintage style theme, the hot air balloons are seen flying in the sky. The title slide has a combination of white and dark blue separated by a curve. If you want to invite friends to a carnival, a festival, or take them to a circus, this is an appropriate design. 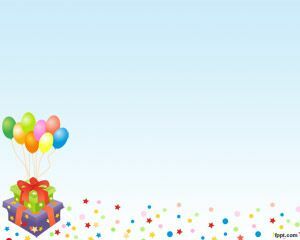 Include the date at which the function is being held, in addition to the time, so that everyone is ready. 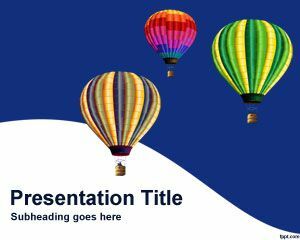 Free Hot Air Balloons PowerPoint template is a simple slide design available for download on Microsoft PowerPoint 2003, 2007, and newer versions.